Watch "The Awesome Life - Live Life to the Fullest"
Toto Monday, April 01, 2019 Awesome Life, Entertainment, Motivational, Movies and TV Series, TV Program, Watch "The Awesome Life - Live Life to the Fullest"
It's always fulfilling when you find things that matters to your existence. Expect an awesome-filled dynamic magazine-type of feature show on your TV screen soon! 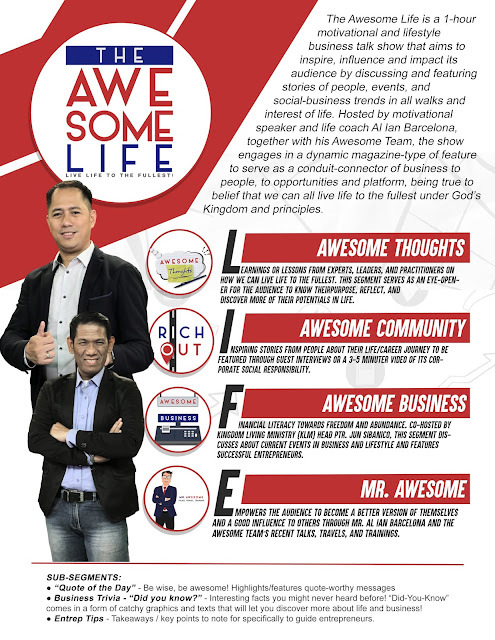 Coming up is a one-hour motivational and lifestyle-business talk show, “The Awesome Life - Live Life to the Fullest”, hosted by motivational speaker and life coach Al Ian Barcelona (AIB) and co-hosted by Ptr. 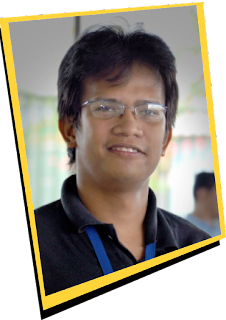 Jun Sibanico of KLM (Kingdom Living Ministry). On its pilot episode, the discussion revolves around new beginnings and living a successful life not just in business but in life as a whole. Mr. Awesome Al Ian Barcelona (AIB) begins with his “Awesome Thoughts” and gave some tips on how to begin one's journey. To explore other areas of life’s new beginnings, Co-host Pastor Jun Sibanico joins in and shares about the KLM (Kingdom Living Ministry) and its humble beginnings. Not just that, the show also features success stories of awesome individuals such as Coach Reuben Lanot and Visual communication and inspirational speaker, Rock Cleo, as well as AIB and his team’s “3Ts” which stands for Talks, Travels, and Trainings. Overall, “The Awesome Life” is divided into four major segments explores the meaning of LIFE: L- Learn, I-Inspire,be F-Financially ready, and E - Empower this generation. 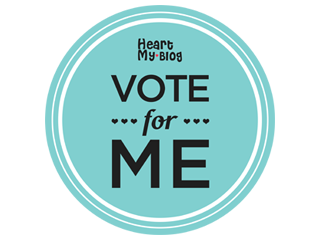 It aims to inspire, influence and impact its audience by discussing and featuring stories of people, events, and social-business trends in all walks and interest of life. The program will air every Tuesday, (7-8 pm) at Light TV- God's Channel of Blessings and every Wednesday (12mn-1 am) and Saturday (7-8am) at GMA News TV. www.KwentoNiToto.com is one of the partner blogger of Light TV, God's Channel of Blessings (formerly Light Network). “LIGHT TV – God’s Channel of Blessings! Labels: Awesome Life, Entertainment, Motivational, Movies and TV Series, TV Program, Watch "The Awesome Life - Live Life to the Fullest"